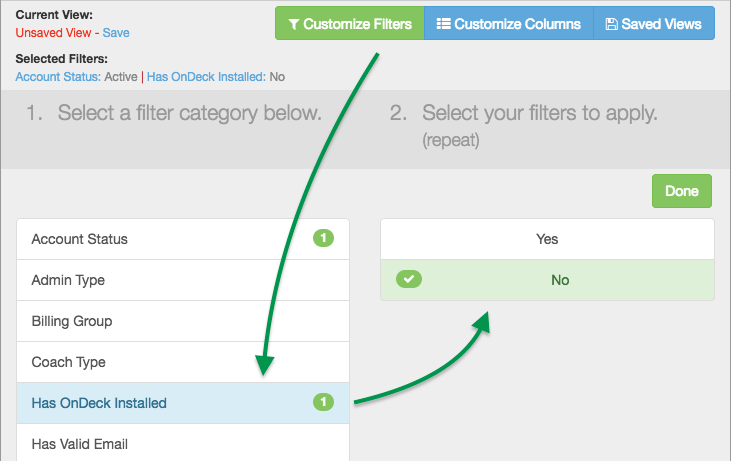 Ensuring that your families have the newest version of OnDeck installed is important to your team. Push notifications are a great form of communication and are much more valuable if all your families have OnDeck installed. 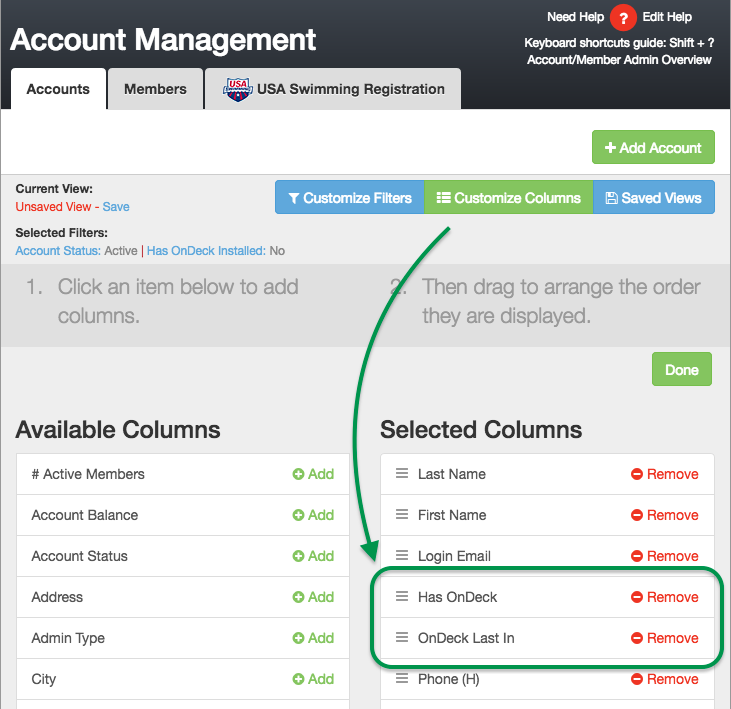 You can easily see which accounts have OnDeck installed, when they last used it, and email them an invitation to install or update it. In the side menu click Team Admin > Account Member Admin. In the left column, click Add by Has OnDeck and OnDeck Last In so that they appear in the right-hand column. Drag them both higher in the list if desired so you will be able to see them onscreen. With these columns visible you can see who has logged in recently and who has yet to download the application. to promote OnDeck to those families that do not yet have OnDeck installed or who need to update to the new OnDeck. Click No on the right and then click Done. You will now only see those who have not installed OnDeck. 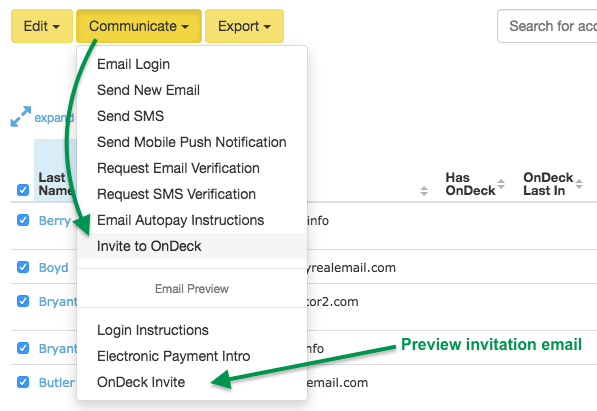 Click Communicate > Invite to OnDeck, then click OK to confirm. You may want to go through this process at the beginning of a season as families join your team.